Ipsos recently released a survey that listed India’s top marketing companies in 2012. Indian telecom companies like Idea Cellular, Tata Docomo, Vodafone and Airtel were in the top 25. The survey noted that 3 of these telecom brands roped in celebrities for their advertising and marketing while Vodafone was the only one that innovated their campaigns with animated Zoozoos. The telecom market in India is currently extremely dynamic. On one hand, telecom brands are vying for the market share in a country with a recorded mobile user base of about 91 crore. And on the other hand, they and dealing with challenging problems like broadband connectivity, changing TRAI regulations and so on. Here is a snapshot of how these telecom brands have fared in the marketing strategies in the recent times. The IPSOS Survey ranks Vodafone as the best marketing company in India. Ever since Hutch saw success with the ‘You and I’ campaign in 2006, Vodafone has never looked back. They have launched several successful advertising campaigns after that. In 2012, Vodafone continued to ride on the success of its Super Zoozoo series that was used to launch their 3G services in 2011. Vodafone also launched the Blue Facebook phone in 2012 to fulfill the Indian youth’s social networking needs. In 2012, Vodafone has re-launched its famous brand mascot – the pug in campaign to aggressively promote Mobile Number Portability. 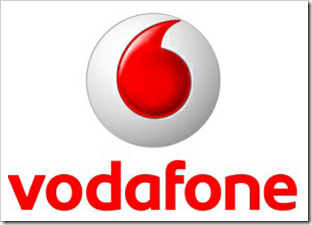 Amongst all the telecom companies, Vodafone has a revenue share of 21 percent in the telecom market. The IPSOS Survey ranks Airtel as the second best marketing company in India. This year, Airtel was also one of the three Indian brands that entered the coveted Mildred and Brown report of the Top 100 Global Brands. Airtel has been traditionally leveraging celebrity power to reach their users with stars like Shah Rukh Khan, Vidya Balan, R Madhavan, A R Rahman, Saif Ali Khan and Kareena Kapoor. But in 2011-12 they took a different route with the ‘Har Friend Zaroori Hai Yaar‘ campaign. Airtel has also been in the news for its sponsoring the F1 race recently and its tie up with Axis Bank for offering mobile banking services through Airtel Money. According to latest TRAI figures, the revenue share of Airtel in the Indian telecom market is 28 percent. Idea signed Abhishek Bachchan as its brand ambassador in 2007 and has been successfully continuing its campaign till date without employing other celebrities for its marketing. The advertising campaign of Idea Cellular started out by promoting inclusiveness and offering network coverage to the remotest part of India. 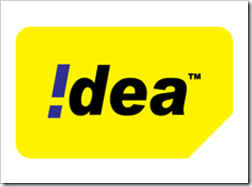 In 2011, Idea’s main focus remained on promoting its 3G services. In 2012, Idea ads are promoting various Idea apps. The long lasting ‘What an Idea Sirjee’ campaign has also attempted to weave in a social message in some of its ads – be it saving paper or having a casteless society. Idea ranks at the 12th place amongst best marketing companies in India in the IPSOS survey. According to TRAI figures, the revenue share of Idea Cellular in the Indian telecom market is 12 percent. From the very beginning, Tata Docomo has maintained its message of ‘a network that connects everywhere’ through its advertising campaigns that show how the user is forced to pick up their calls in the oddest of situations by cashing in on their signature Docomo tune. Docomo has also leveraged social media extremely well. It is one of the few Indian brands that created its official ID on numerous blogs and forums – from MySpace to Rediffmypages to Bharatstudent. Docomo went ahead and used YouTube as a medium to interact with their users by allowing them to upload animation videos created by them. In 2011 the brand signed Ranbir Kapoor as the brand ambassador for their ‘Keep it Simple’ campaign in which the aim was to simplify their differentiated products and services. Docomo ranked at the 16th spot in the IPSOS survey. 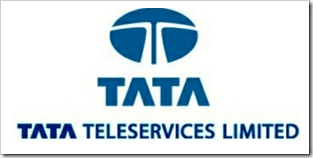 Tata Teleservices have a revenue share of 8 percent in the Indian telecom market, as per TRAI figures. It is important for these brands to rethink whether they are only producing creative and innovative advertising or are users really being able to differentiate between their products and services. Just like many players in the automobile industry are now catering many of their marketing campaigns to rural India, the next move for telecom brands too could be in the same direction. India’s High School students crazy for Social Networking & Mobile Devices! Its good to develop GK.